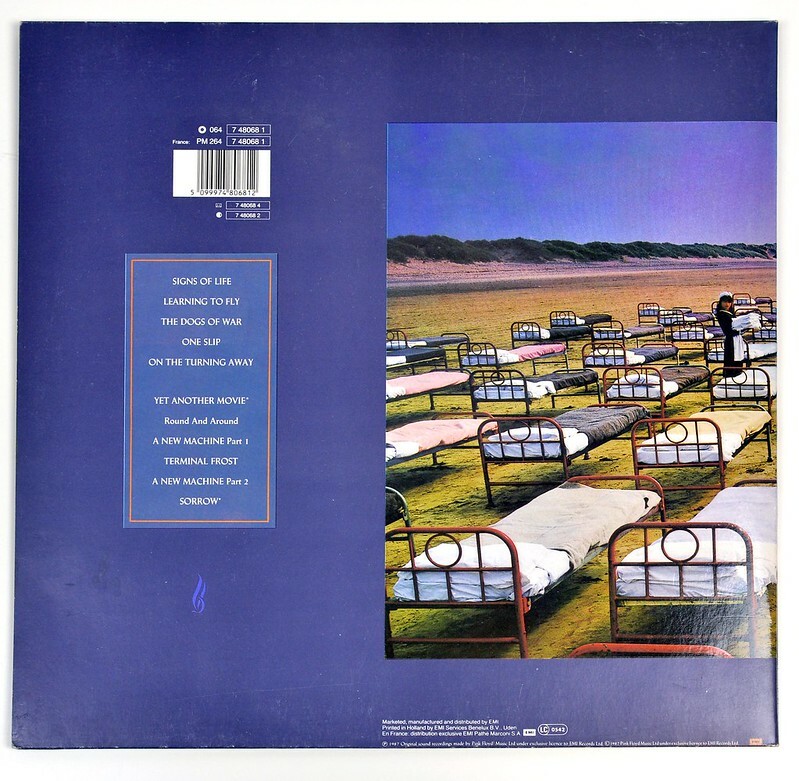 "A Momentary Lapse of Reason" is the thirteenth studio album by English progressive rock group Pink Floyd. 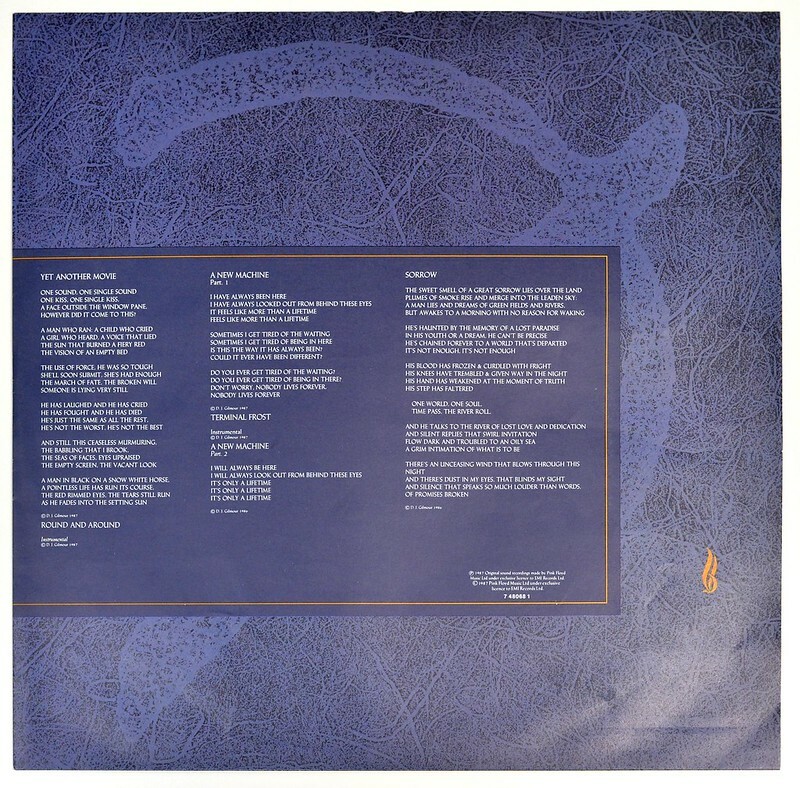 It was released in the UK and US in September 1987. 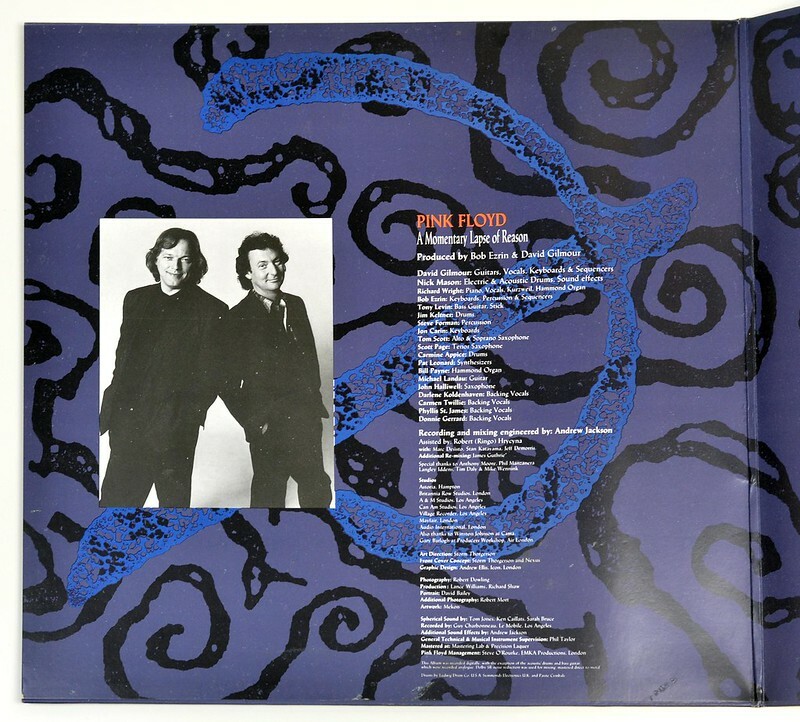 In 1985 guitarist David Gilmour began to assemble a group of musicians to work on his third solo album. 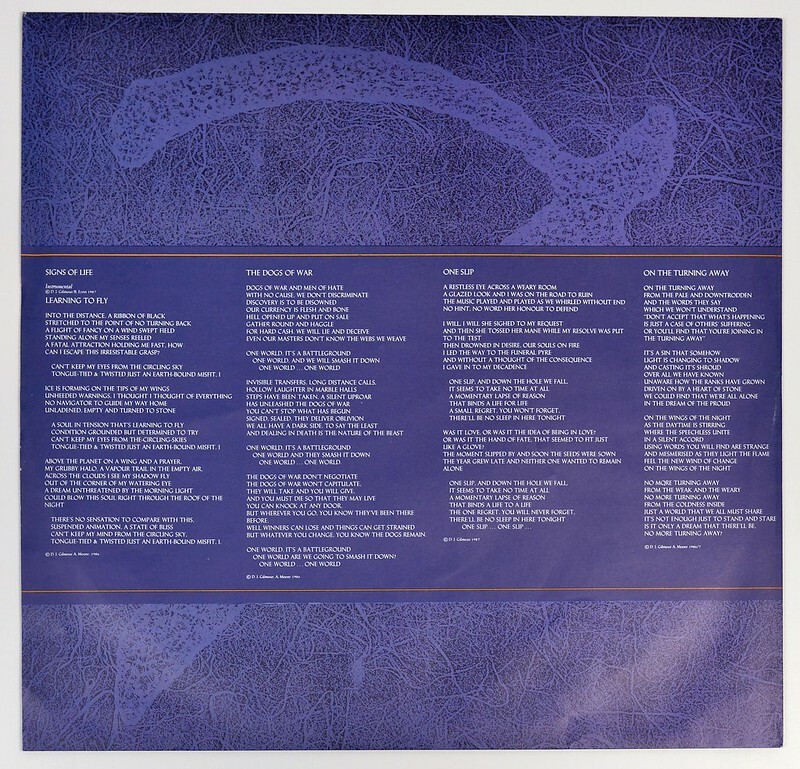 This 12" LP black vinyl music record comes comes in a Fold Open Cover (FOC), which is also also known as a Gatefold cover. 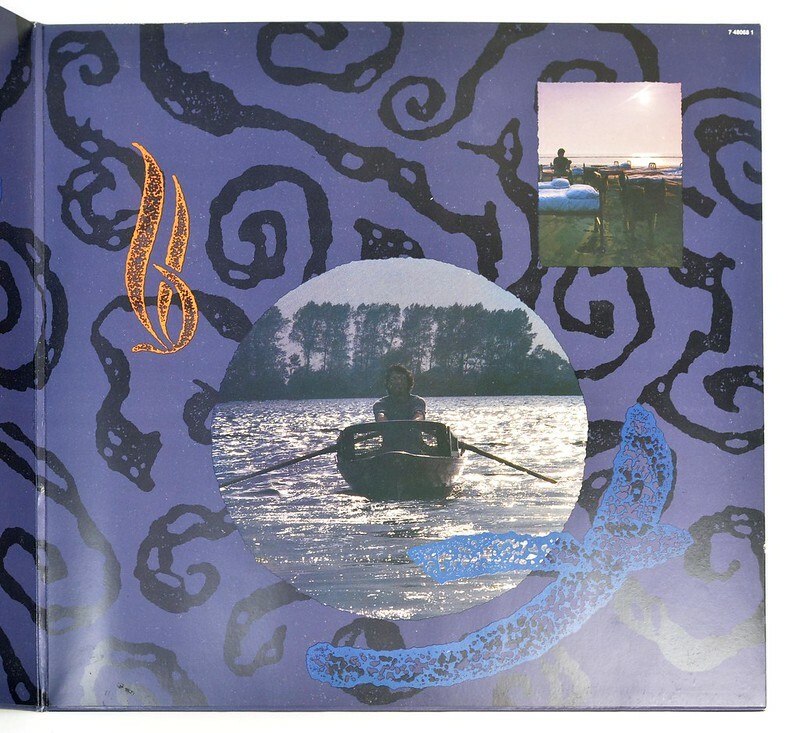 The inner pages of this album cover contains photos, artwork, album production details and lyrics of all the songs. 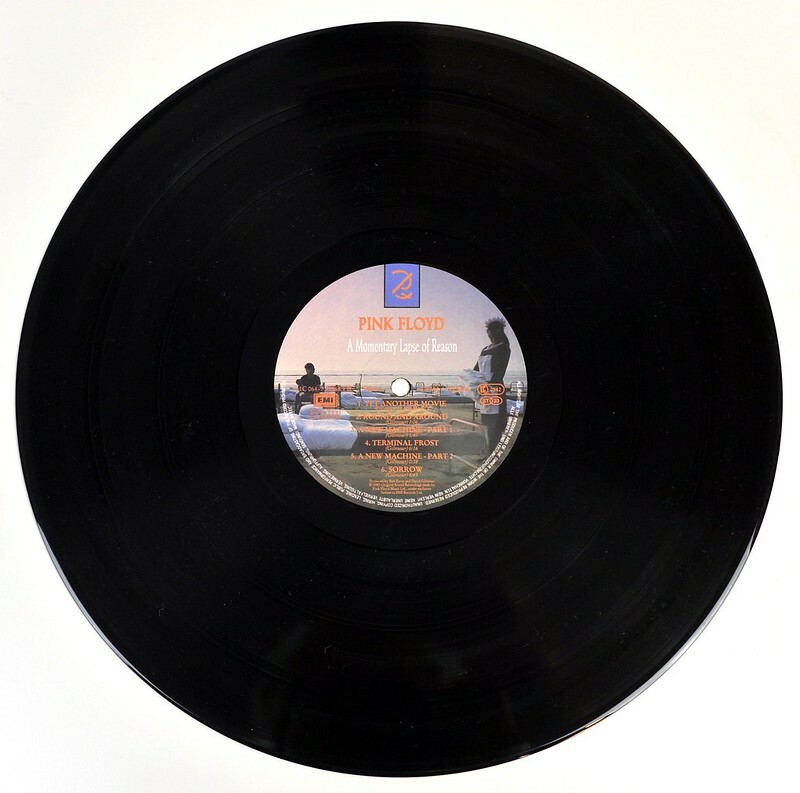 The band-name "PINK FLOYD" is printed near the top of the album front cover. 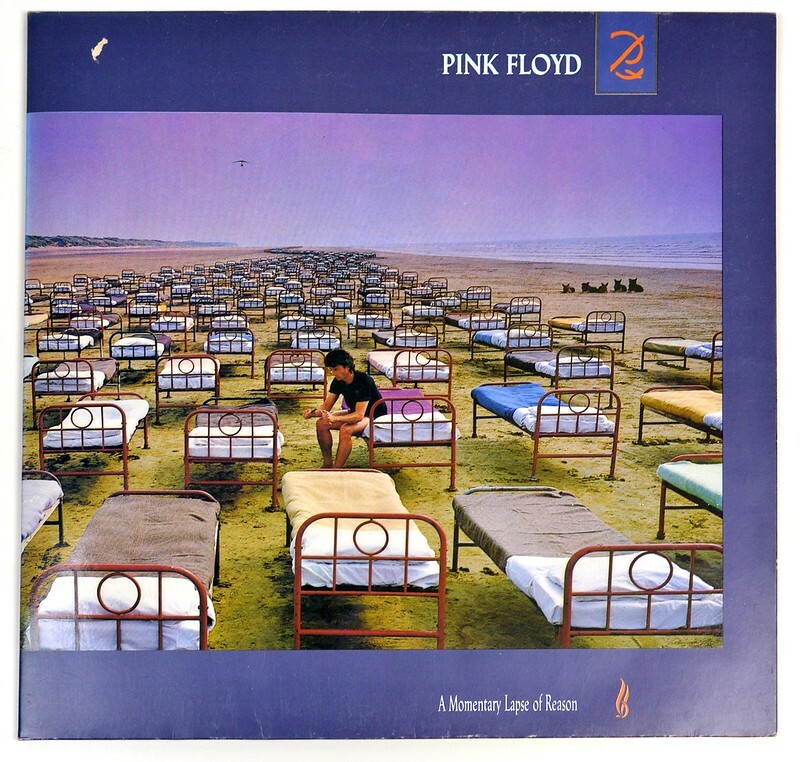 The title of the album "A Momentary Lapse of Reason" is printed near the bottom of the album's cover. There is NO catalognr printed on the front cover. 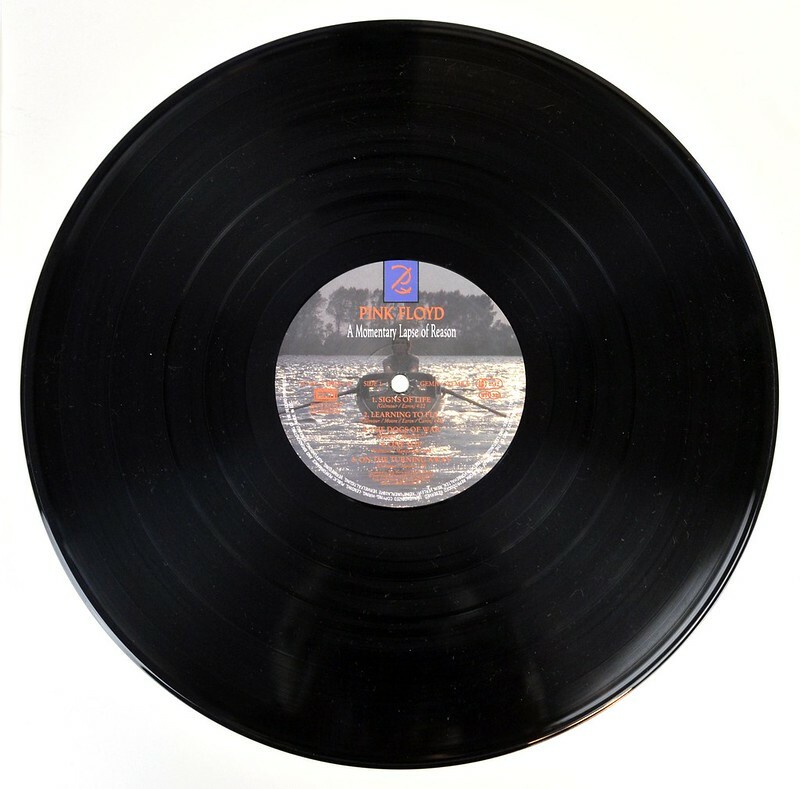 The labels on the record have photo-artwork on both sides. The Rights Society "GEMA / STEMRA" and is printed right of the spindle hole. Below the catalognr there is the EMI logo and "DMM"
The rim-text on the label runs from 3 o'clock to 9 'clock. 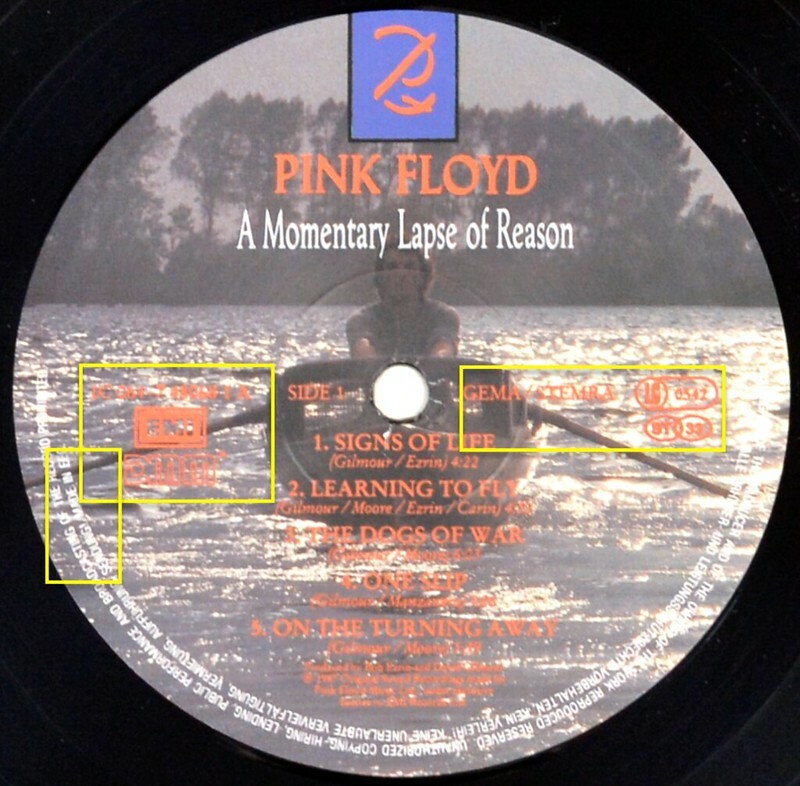 The rim-text is in English and is ending with the words: "MADE IN EEC"
High Resolution and Quality Photos of Complete Album Covers "PINK FLOYD - A Momentary Lapse of Reason "
Album Back Cover Photo of "PINK FLOYD - A Momentary Lapse of Reason "
Complete Track-listing of the album "PINK FLOYD - A Momentary Lapse of Reason "